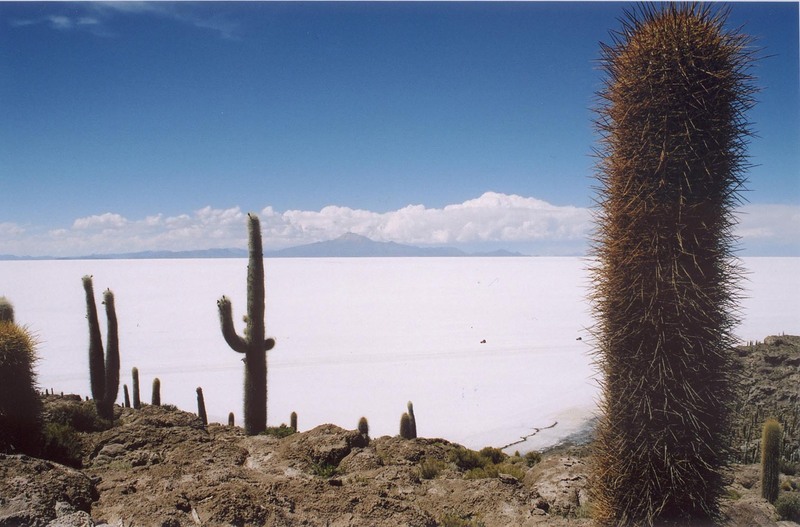 Embark on a tour of this arid, immense and complex salt plain area to uncover another side of Bolivia. Visit unique geological formations and spend time visiting the tiny town of Jiria, marvelling at the huge cacti atop Isla Pescado and exploring the Coquesa Caves (and the mummies within). Wander with llamas and enjoy the feeling of remoteness that comes with this otherworldly environment. Welcome to La Paz, the highest city in the world! On arrival at the airport, take a complimentary transfer to the Peregrine joining hotel. Today is arrival day so there are no activities planned until an important welcome meeting at 6 pm with your leader and group. Please look for a note in the hotel lobby or ask reception where it will take place. 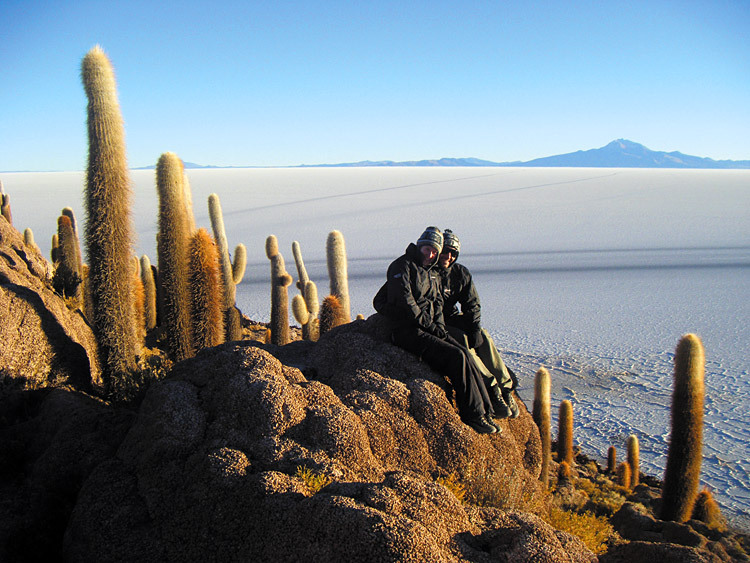 Today take a flight from La Paz to Uyuni. The flight time will be advised at your evening meeting on Day 1. The remote town of Uyuni sits on the edge of the high altiplano, which extends towards the border with Argentina and Chile. The town was once a distribution hub for trains carrying minerals on their way to Pacific Ocean ports. In the 1940s the mining industry collapsed and many trains were abandoned. Depending on when you arrive into Uyuni, you'll visit a Train Cemetery either today or tomorrow. Uyuni's salt flats are a 12,000-square-kilometre expanse of perfectly flat salt. Spend a full day exploring the lake by 4WD. Make sure you snap some classic perspective-bending photographs with your group. Discover the cacti and coral-like structures on the rocky island of Isla inca wasi and visit the small town of Colchani, where you'll see how the locals farm and process salt from the Salar. Head to the tiny village of Jiria at the foot of the Tunupa Volcano. Here you'll visit the Coquesa Caves, which are home to ancient ceramics and a mysterious family of mummies who have remained untouched for over 1,200 years. At the end of the day, drive to your accommodation on the salt plains. Note: If you are travelling between December and April (the wet season), please see the 'Important Notes' section of the trip notes. This morning travel across the salt flats to the Galaxy caves. Stalactites and stalagmites form floor-to-ceiling columns in this bizarre natural formation. Afterwards, stop for lunch and visit the Pulacayo mine, before heading back to Uyuni. From here, take a flight back to La Paz airport, where this trip comes to an end. Important: If you are booking a departure flight from La Paz for today please ensure it's no earlier than 1800/6pm. 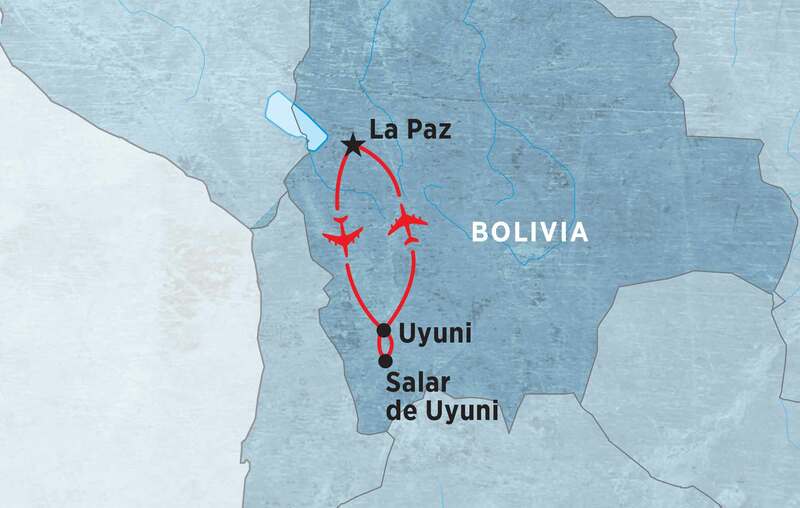 Alternatively if you wish to fly out earlier please check with us within 30 days from departure and we can advise you what time your flight from Uyuni is due to arrive in La Paz. 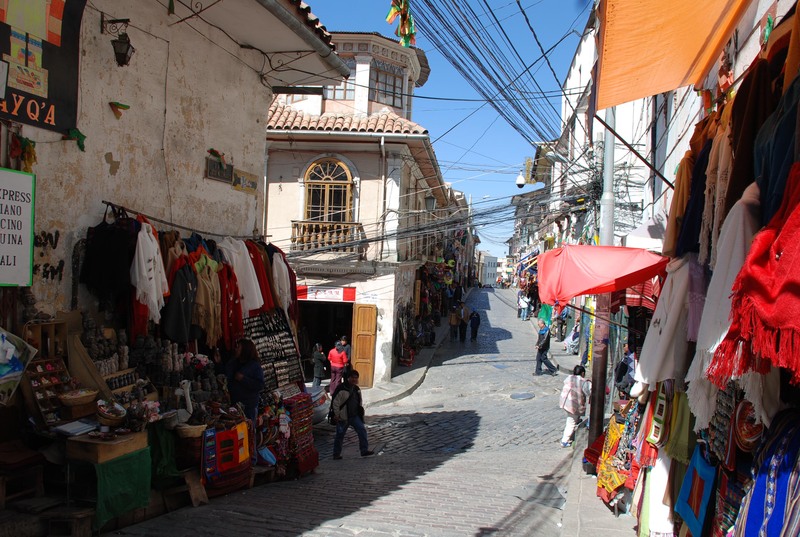 If you need additional accommodation in La Paz and/or a transfer into the city, we would be happy to assist. Please speak with your booking agent. Note: During the wet season, it won’t be possible to visit the Galaxy caves, although you will see the Pulacayo mine. At Peregrine, we are always looking for ways to improve our trips. Your feedback is invaluable to us and to our tour guides. It tells us what we're doing right and what improvements could be made to help future travellers choose and enjoy Peregrine. At the end of your adventure, we ask that you to take a few minutes to complete our on-line feedback form. Just go to http://www.peregrineadventures.com/tour-feedback. We’d love to hear what you have to say!